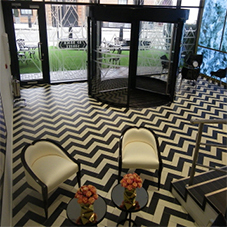 Type of works: Design and installation of two automatic revolving doors. Enhancing the already impressive frontage of St Helens, the head office of Aviva plc in the City of London, TORMAX was recently contracted to design and install two automatic revolving doors, providing quick and efficient access for the 2,000 people who enter the building every weekday. The 3.4m diameter doors are driven by TORMAX 5251 operators, featuring cutting-edge technology to deliver smooth functionality even with near-continuous use, whilst allowing simple day-to-day adjustment of operating speeds. 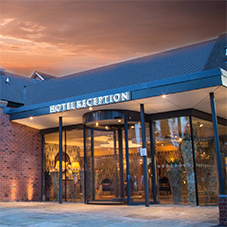 TORMAX offered a cost-effective solution, backed-up by a reputation for reliability, comments Paul Maxwell, Engineering Manager for Norwich Union Central Services, part of the Aviva group. The doors have been in use for over six months and we have been extremely delighted with the upgrade. Since this installation TORMAX has received the order to install a new entrance for another prominent City building nearby. Having delivered over 15 years of service, the existing manual revolving doors at Avivas head office needed up-dating, whilst still retaining the architectural integrity of the 1960s building. 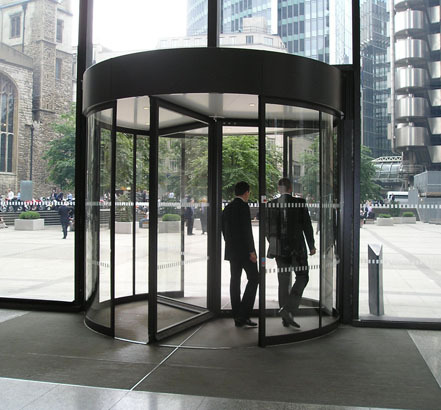 Almost identical in appearance, the new TORMAX 3-wing automatic revolving doors bring the entrance into the 21st century. Finished in a Dark Brown powder coating, the aluminium doors are constructed for longevity and are more than capable of withstanding heavy, daily wear-and-tear. High torque, micro-processor controlled TORMAX 5251 operators are concealed within the integral canopies delivering exceptionally quiet movement. The doors can be activated in a number of modes, either starting rotation when slight pressure is applied to a door-leaf, or when the door activators are triggered. 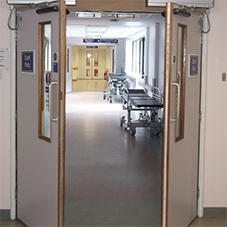 For rapid evacuation in the event of an emergency a break-out facility is included whilst for after-hours security, the Norwich Union revolving doors incorporate an external night-shield. As requested by Aviva, the TORMAX team of professional installers worked nights and at weekends to complete the work with minimum disruption to staff.